Sarah Bell focuses her practice on environmental and natural resources litigation, administrative proceedings, and counseling, and advises clients in a broad range of disputes, including environmental enforcement actions, cost recovery, citizen suits, water quality, complex toxic tort, and product liability matters. Sarah’s clients include manufacturers, distributors, transportation companies, terminals, real estate developers, and commercial property owners. She has litigated matters throughout the western United States, in both state and federal courts, including Washington state, Nevada, New Mexico and California. The bulk of her expertise involves cases relating to natural resources such as groundwater, surface water, sediments, air, and soil. She has experience with all the major federal and state environmental statutes, including the Clean Water Act, CERCLA, NEPA and CEQA, Proposition 65, RCRA, and the ESA. Sarah is an aggressive, innovative and persistent advocate for her clients’ interests. She is a persuasive and engaging oral advocate at trial and hearings, and she thrives in court. In litigation, she believes convincing writing cannot be undervalued, and constructs prose that is effective because it is cogent, clear, and concise. Sarah also counsels clients with respect to regulatory compliance, permitting, including storm water management and NPDES permits, product stewardship, and project development. She often advises clients who have identified potential environmental issues and are seeking to address those issues and manage potential risks associated with the same. As a counselor, Sarah seeks to keep her clients out of court. In these matters, she effectively negotiates reasonable resolutions so clients can maintain focus on their core businesses. 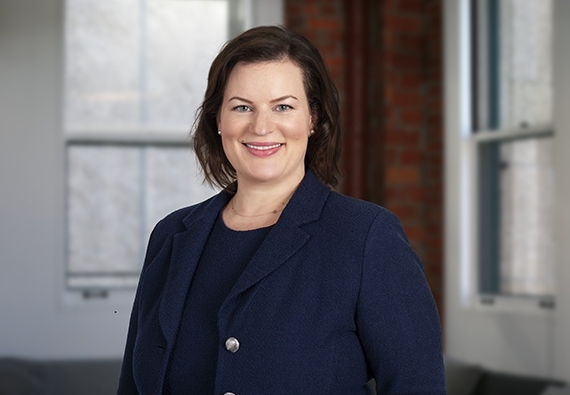 Sarah strives for solutions that are in the best interests of her clients, relying on pragmatism and unique strategies rather than defaulting to a “one size fits all” approach to litigation and negotiation. She leverages her entire tool-kit to achieve her clients’ goals. She is purposeful, calm in a crisis, and efficient, helping her clients navigate a strategic course without wasting resources. Environmental issues can be complex and involve high-stakes liability. Sarah brings order to this potential chaos, and brings to each matter an impressive track record of helping clients both efficiently manage and swiftly resolve challenging situations. She was a judicial extern for the Honorable Maxine Chesney of the Northern District of California and served as a legal intern for Waterkeepers, where she assisted with Clean Water Act litigation. With expertise and creativity, I help clients resolve environmental litigation and issues allowing them to focus on growing their business, minimizing disruptions, and achieving clean-up goals.